Buying a home is more than just finding a place that meets your needs for square footage, number of bedrooms and a grandiose kitchen. The homebuying process also involves finding the best neighborhood for you and your family. Here are some neighborhood aspects to keep on the radar when you’re buying your next home. One of the first telltale ways to know if a neighborhood is for you is to look at its surroundings. Is it more urban with lots of amenities within walking distance? This neighborhood might be more fitting for those that are young professionals or without children. If you have small children, the lifestyle for your family at the moment might be best suited for more of a suburban area with similar demographics. 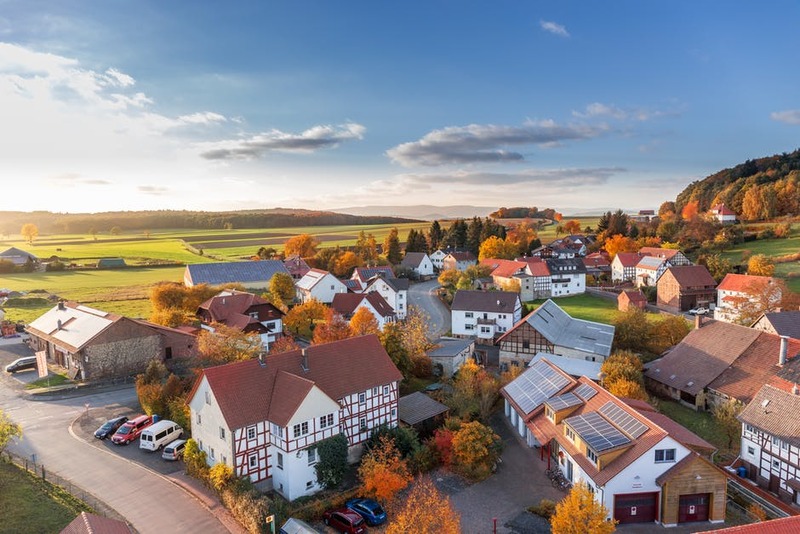 Even if you live in your beautiful home within a great neighborhood, the neighborly environment can have a drastic impact on whether or not you will truly love your neighborhood. For example, are there events in the neighborhood that add a sense of community? Are there community barbecues or cookouts, for instance? And if the neighborhood is well maintained, this also shows that the neighbors care about their space and the overall care of the area. Of course, when you’re on the hunt for your next neighborhood, you’ll be looking for one that will be safe and have a low crime rate. You can quickly find out the crime rate of an area by conducting a quick search online or with the help of your real estate agent. Even if you don’t have children, it’s beneficial for you to be in a neighborhood within a great school district. Why, you might ask? You should always be thinking about resale value because even if you don’t have children, the next homeowners might. School ratings can be found online, which rate a school’s overall environment, including teachers and attendance, as well as academics and general progress of the students. Another way to find the best neighborhood is to see what nature and outdoor activities are nearby. If you love sports, it might be important to you that there are tennis courts or basketball courts within the neighborhood. If you like to go on walks or jogs, local paved trails or sidewalks will be high on your list of neighborhood priorities. Local amenities are another thing to look for when finding the best neighborhood. Whether this means you are looking for some local shopping and restaurants that you can easily drive or walk to, or you’re interested in entertainment, including theaters and nightlife, researching a neighborhood’s amenities is one of the easiest ways to navigate your search.